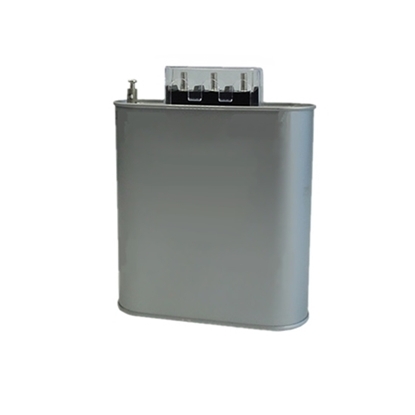 3 phase low voltage shunt power capacitor is made of the advanced metalized film and has good self-healing property. It is 5 kvar rated capacity and used in 50Hz or 60Hz 450 volt AC power system. The provided capacitor is applied to improve the power factor of circuit by the parallel connection. AC shunt power capacitor is 3 phase, 8 kvar ( 125 μF ) rating at low cost, it is used in low voltage 450V electrical system to reduce reactive loss and improve power factor. Providing excellent self-healing property and reliable, small volume, light weight and convenient installation. 12 kvar single phase self-healing low voltage shunt power capacitor made of the advanced metallized film, is applied to improve the power factor of circuit by the parallel connection with AC electric power system with rated voltage 400V and 50/60Hz. This single phase 18 kvar shunt capacitor is suitable for power frequency 50Hz or 60 Hz AC power system with nominal voltage of 400V to raise power factor, reduce line loss and improve voltage quality. The provided capacitor is made of the advanced metalized film and in compliance with the set industry standards. 3 phase 25 kvar power capacitor in parallel connection, it is used in 50Hz or 60Hz 450 Volt AC low voltage power system to improve power factor. With good outgoing terminals and self-healing propery for convenient wiring and reliable connection. Self-healing type single phase shunt capacitor is 10 kvar rated capacity and good quality at low price. 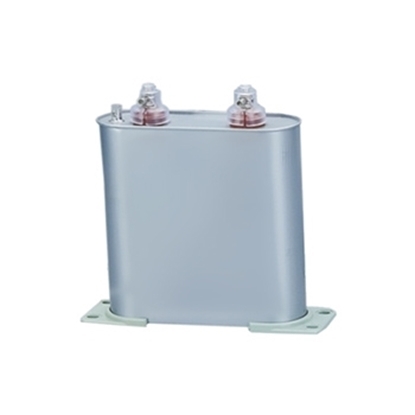 The offered AC capacitor is in parallel connection and widely used in low voltage electric network to improve power factor and reduce reactive loss of electrical energy. It is suitable for low voltage AC power system with 450V. It has built-in insure device and discharge resistor for reliable. Small volume, light weight and convenient for you to install. Low loss, little radiation and low temperature rise. There is noperpetuity puncture and flash over. 1.1 times rated voltage, the high permit over voltage is not more than 8 hours within 24 hours. 1.15 times rated voltage, it is not more than 30 minutes within 24 hours. 1.2 times rated voltage, it is not more than 5 minutes. 1.3 times ratedvoltage, it would not more than 1 minute. Max Permit Over Current It is permit that the over current is not more than 1.3 times rated current. 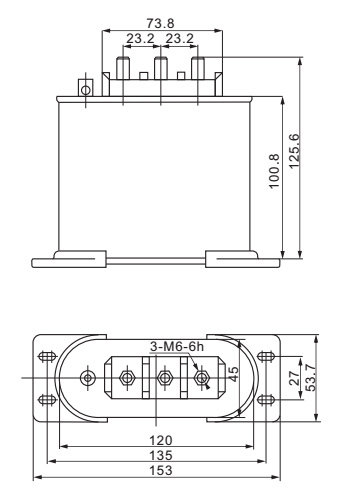 Note: Need more models information of the 3 phase shunt capacitors, please click here. Tips: Functions of shunt capacitor? Shunt capacitor in parallel on bus system, similar to a capacitive load on the system bus, absorbs the capacitive reactive power of system, which is equivalent to shunt capacitor from perceptual reactive power to the system. 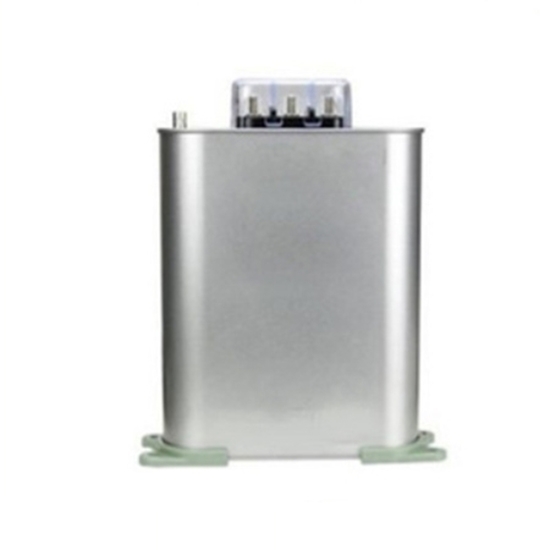 Therefore, shunt capacitor can provide the perceptual reactive power to the system and the power factor of system operation, improve the voltage level of electrical terminal bus. Meanwhile, it reduces the perceptual reactive power transmission on lines and the voltage and power loss, thus increasing the transmission capacity of lines. When you need a new self-healing shunt capacitor, ATO is the place to get one with fast shipping. I ordered this item to replace my old capacitor, worked great with my AC unit.